We got rolling at around 9:30, heading south on Route 55. The rugged coastline was spectacular, especially with the huge waves that were rolling in and smashing against the rocks, sometimes spraying the road. 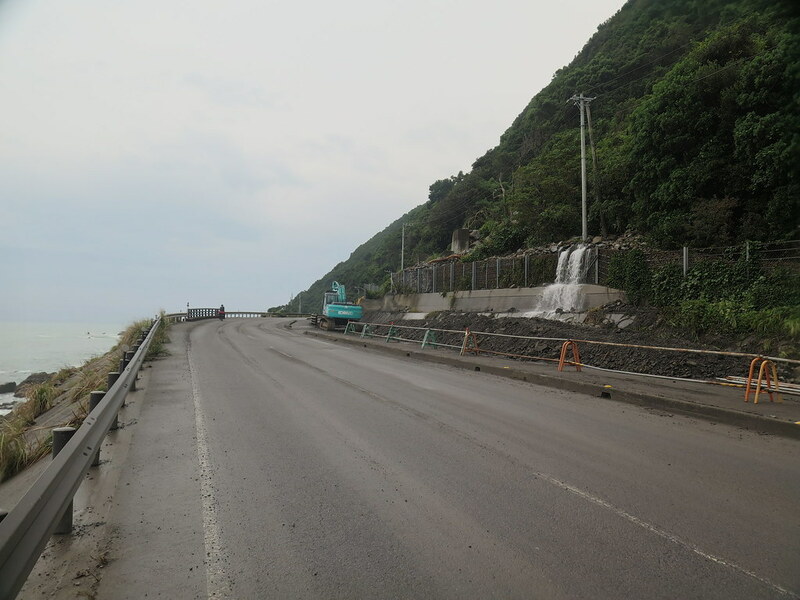 At one point there was a section of road that had only just reopened after a huge landslide after the rainfall a few days previous – when we sensibly stayed in the hotel in Tokushima! We took a few small detours to look at cliffs and shrines along the way, but made it to the cape by lunchtime. 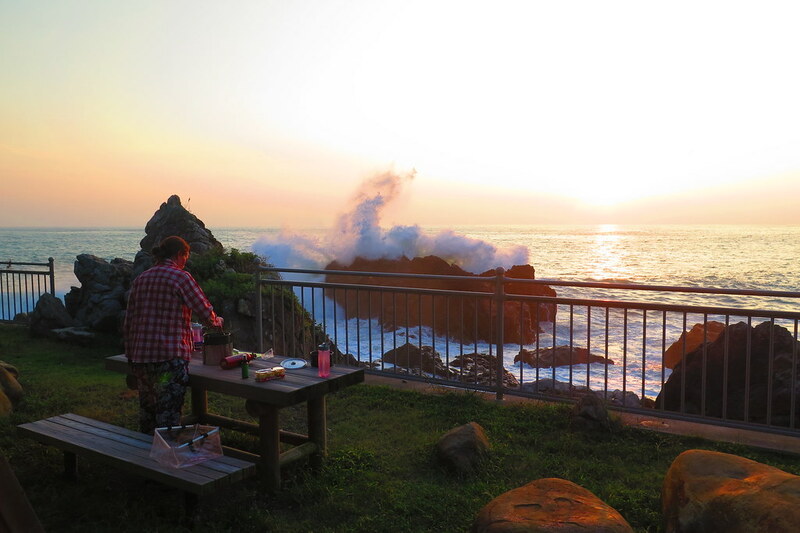 Tomoya had made us a couple of rice balls for lunch, and as we sat eating them next to the sea, the skies cleared and the sun came out. 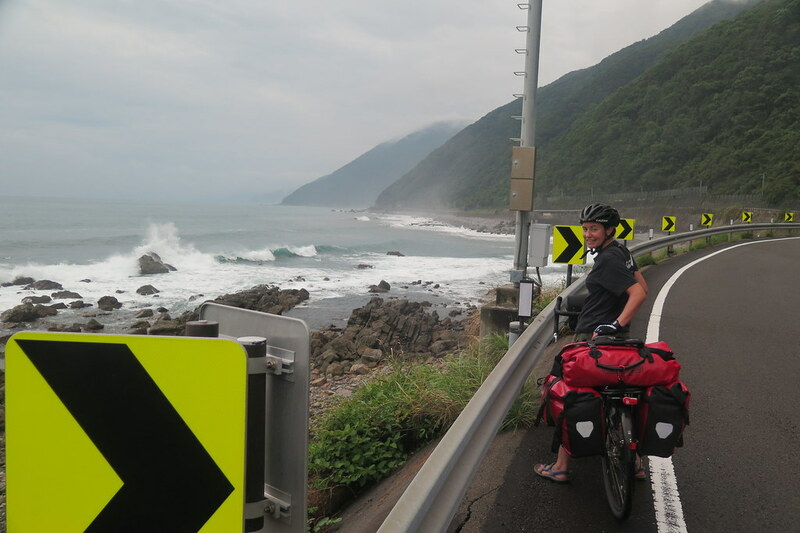 Looping around the cape, we changed direction and continued to ride north up the western side of the headland. We had a wind behind us and covered some good distance through the afternoon, even with numerous photo stops and a cheeky ice cream on the way. 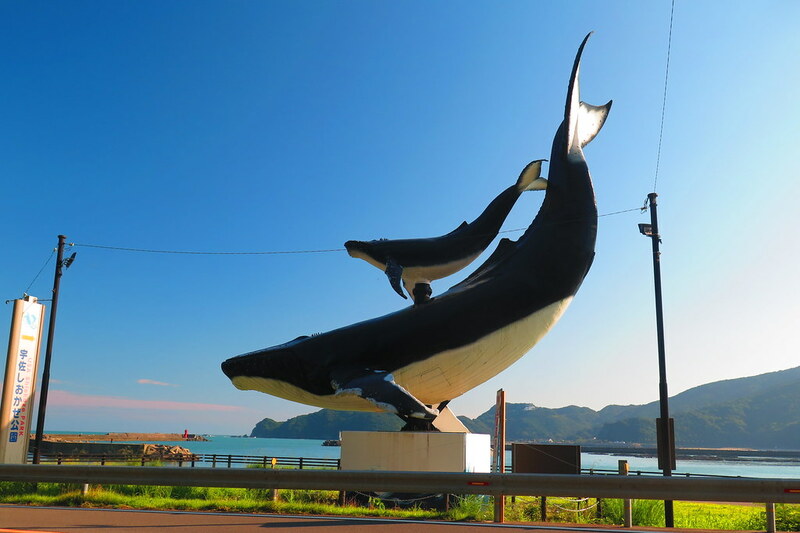 The large bay under south-central Shikoku seems like it’s known for whales, I think more the observing of them, rather than the eating. There were lots of signs for whale watching trips but, being on a budget, we just kept an eye out to sea hoping to spot one from the coast. Unsuccessfully. 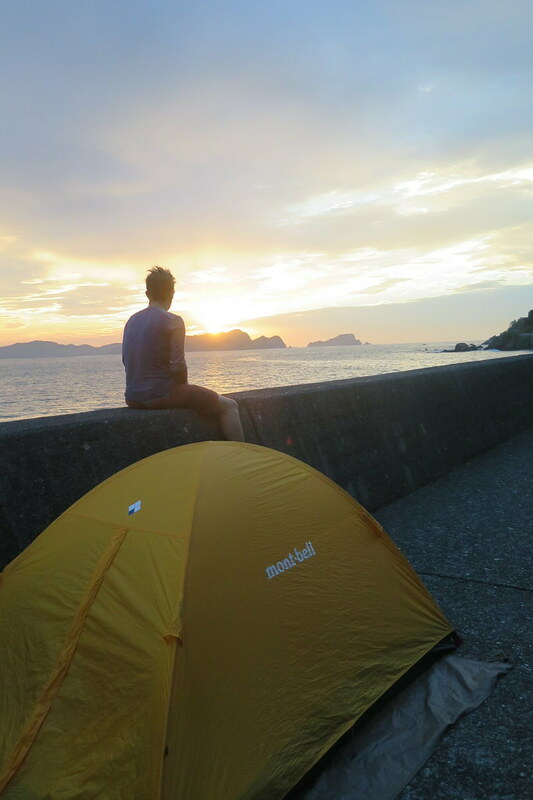 We found a really beautiful spot to camp that evening, in a small park right on the rocks facing the setting sun. We cooked up some dinner feeling like we were on a tv cooking show where the chef sets up a kitchen in some scenic location in an exotic country. Our spaghetti probably wasn’t up there with what the Hairy Bikers or Rick Stein would produce, but the view was amazing! Despite the roaring sea, we slept well in our tent and got a good start the next day, continuing around the coast. Getting towards Kochi City, we ended up on a cycle path that ran for about 30km next to the coast. 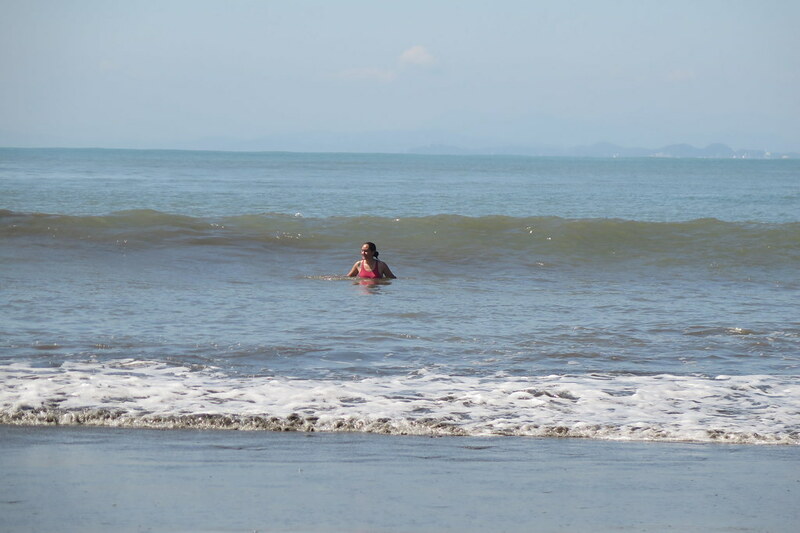 By mid morning, with the sun rising in the sky, the lure of the sea was too much. 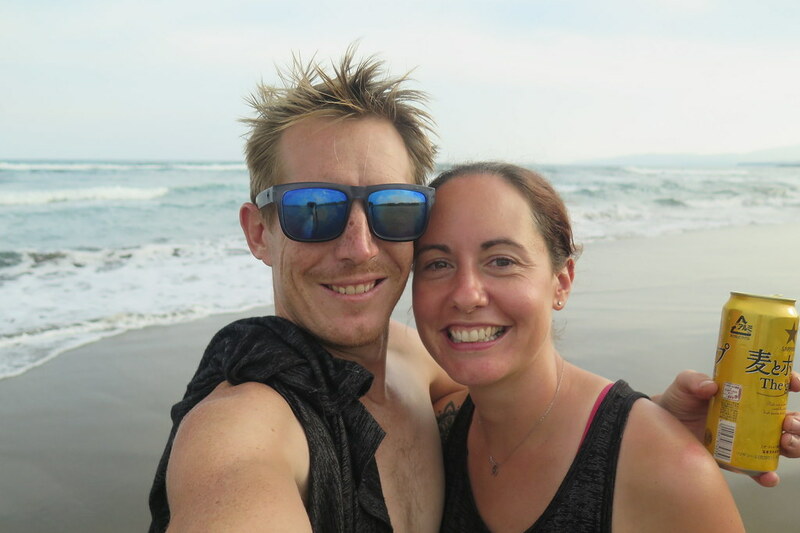 We parked our bikes up next to the beach and went for a swim to cool off, then lazed about for an hour or so drinking coffee and watching the surfers. After lunch, we had the choice of following the road along the coast up onto a line of cliffs, or to branch off onto a smaller road that wound its way around a large inlet. We went for the flatter option and enjoyed the quiet single track road around the inlet in the late afternoon sunshine. 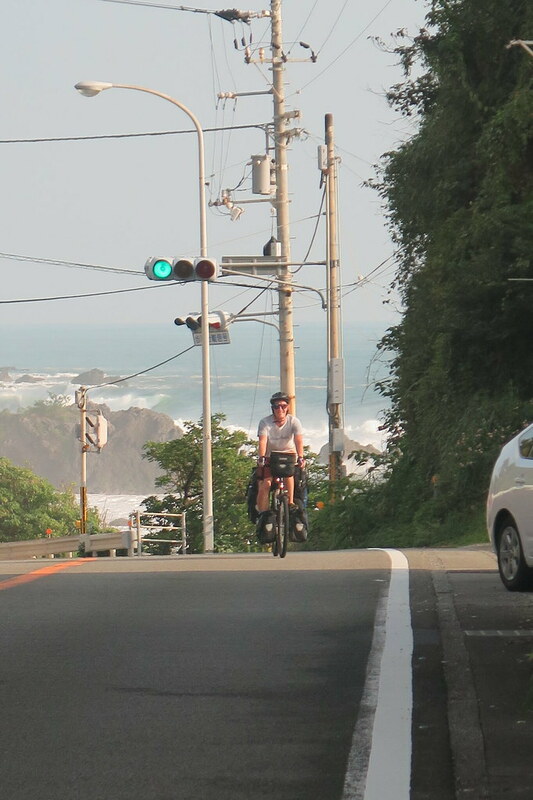 This brought us into the port town of Susaki where we started looking for a camp spot. 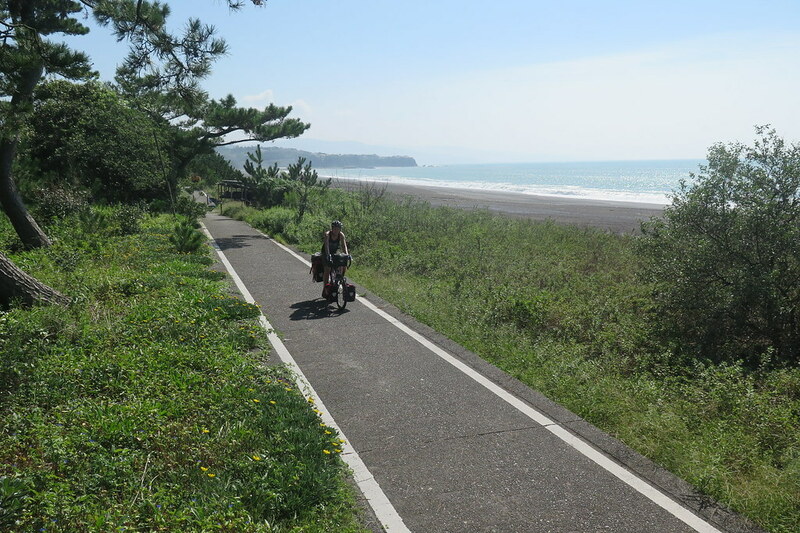 After a few dead ends and lots of industrial and fishing areas, we didn’t see anything suitable so continued around the next headland to get us down into a small village called Awa. 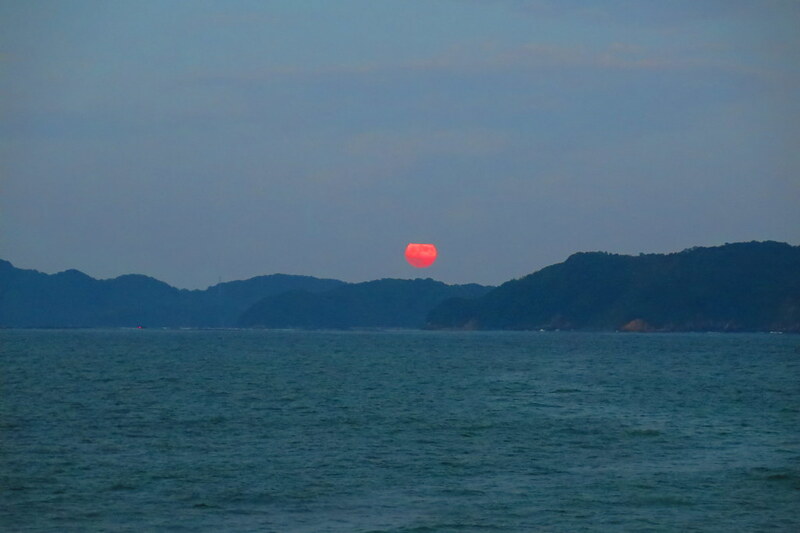 We pitched our tent on the sea wall just as the huge ‘blood moon’ was rising over the bay. Sunrise was in the same spot as the moon rose, and a beautiful sight to start the day. We were now following route 56, which took us slightly inland into the mountains heading down the headland in the south western corner of the island. 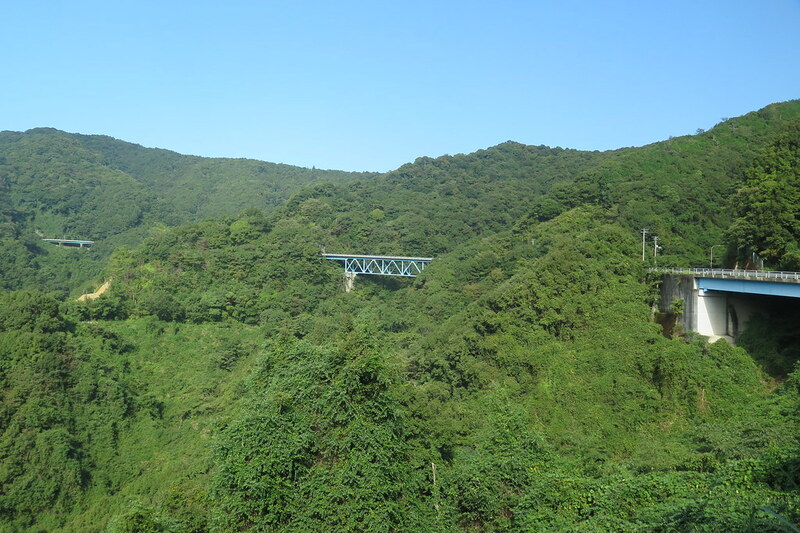 The road split, with a new expressway section taking the direct path through tunnels, or the old road going up and over the pass. No bikes on the expressway though! 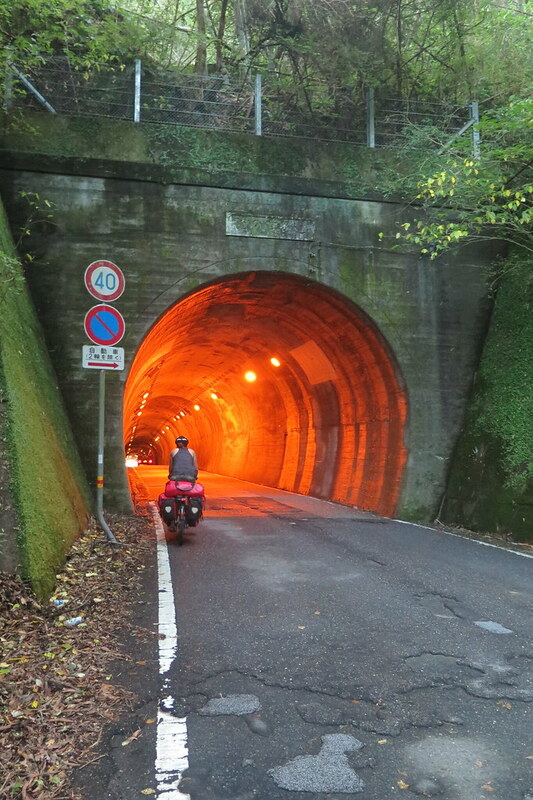 The road was quiet and snaked up over bridges and around switchbacks before one narrow tunnel just below the pass. It was our first decent climb for a while, but we took it steadily and reached the top before the day got too hot. The views back towards the ocean were stunning and the mellow descent on the other side continued for most of the morning. After the climbing, we were really hoping to have a proper wash when we finished cycling. 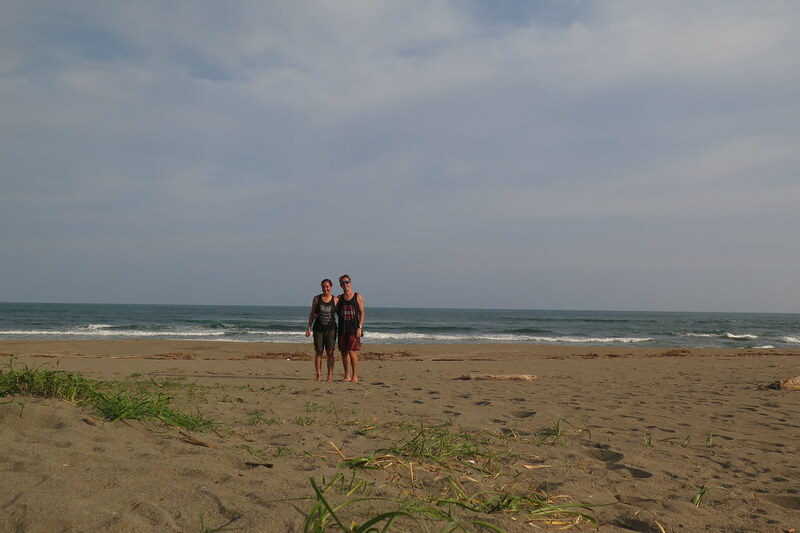 The onsen close to our planned campsite in Kuroshio looked to be in a stunning location next to the sea and was recommended in our map book. Our map book from 2012. In the 3 years since then, it must have fallen on hard times, because it was very definitely closed and boarded up when we arrived in September 2015. There were some vague directions to an alternative onsen posted on the locked door. They just led us on a wild goose chase around the foothills which got us more and more sweaty and frustrated before we gave up and just headed to the campsite. Which had showers anyway. 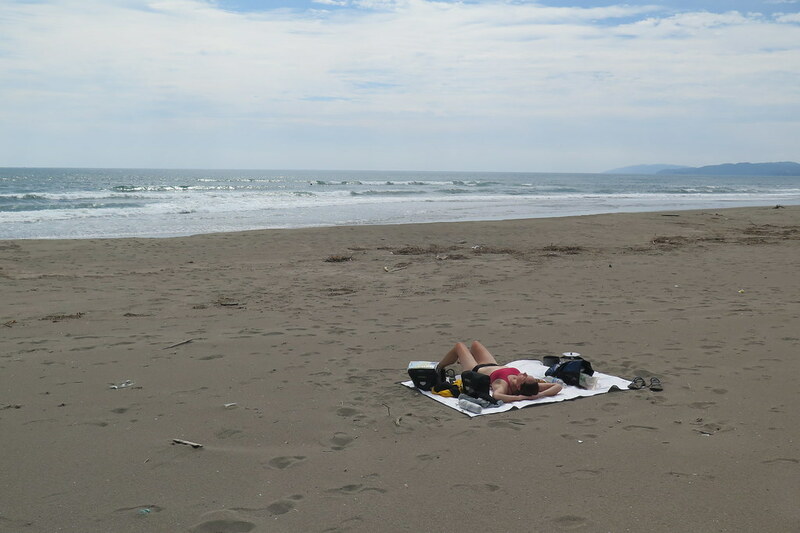 The beach next to the free campsite was one of the nicest we’ve seen in Japan. Wide and sandy with not even a hint of concrete. Packing up our tent the next morning, on yet another sunny day, we decided to just spend a few hours on the beach swimming and reading. Almost like a holiday. We decided to catch the ferry over to Kyushu. 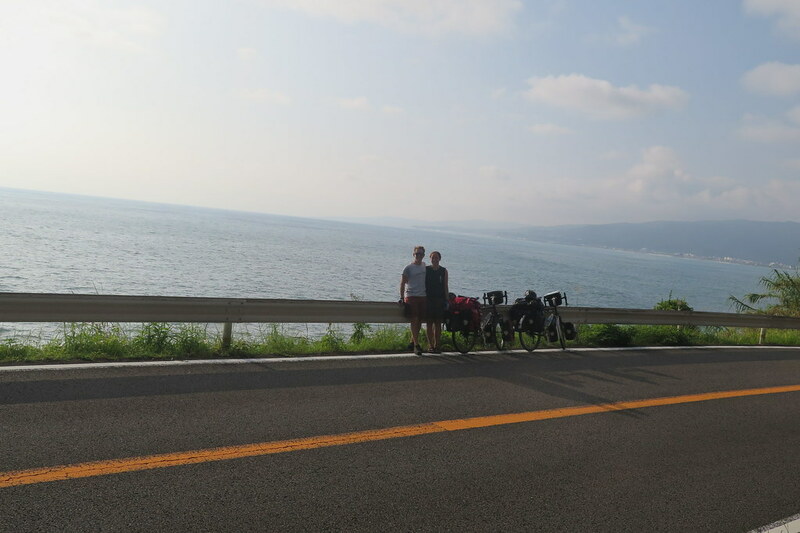 We could’ve continued around Shikoku to get to the Shimanami-Kaido cycling route that would take us back to Honshu near Hiroshima. 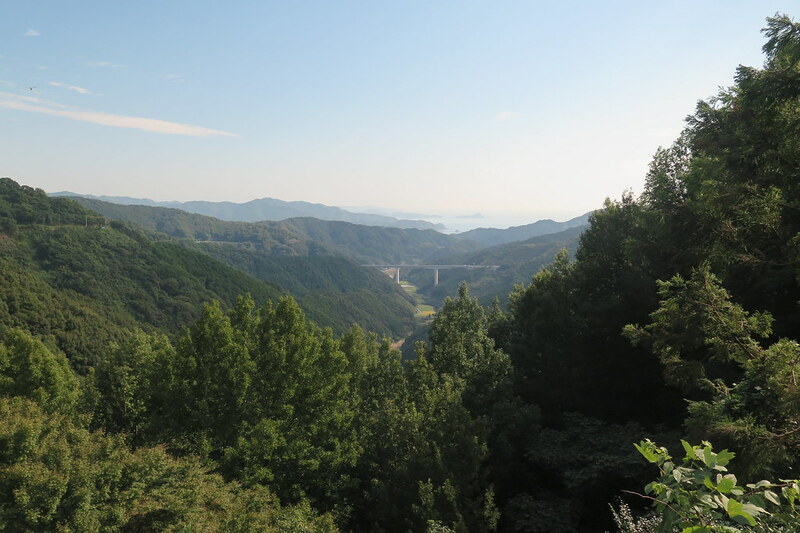 But we’ve done that before, and we’d rather cover more of southern Kyushu, which we haven’t seen much of. 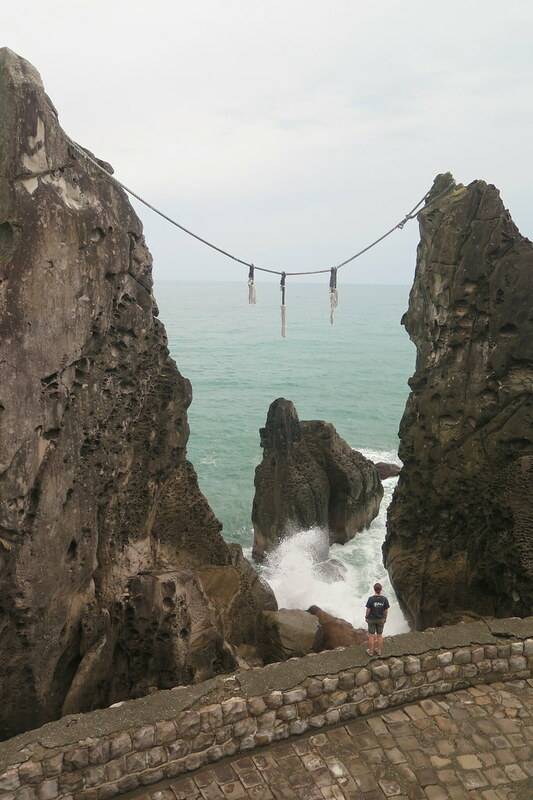 We’ve also had the idea to get to the southern most and western most points in Japan, both on Kyushu. The northern most and eastern most points are in Hokkaido and we’ve done both, so it’d be good to tick off the four points of the compass. Hopefully we’ll have time in the two weeks before we leave Japan from Fukuoka. 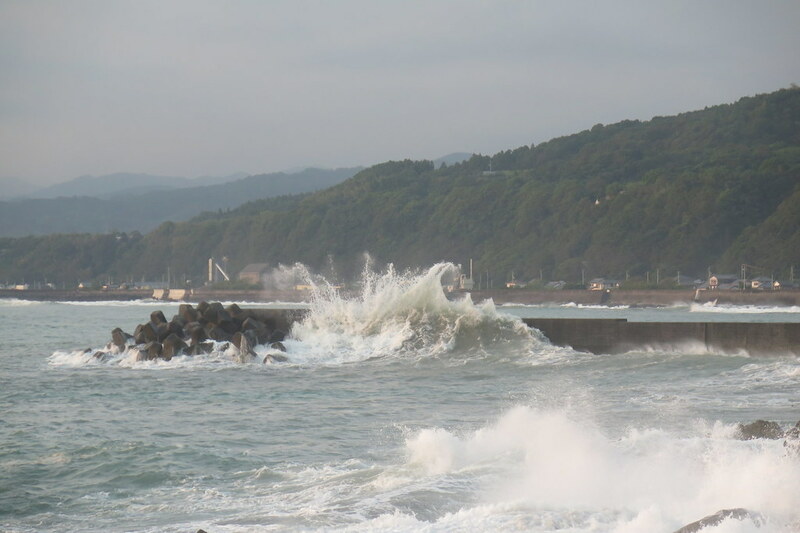 The ferry to Kyushu left from Sukumo, only 50km from our beach campsite at Kuroshio. An easy ride on flat ground that we covered in a couple of hours. 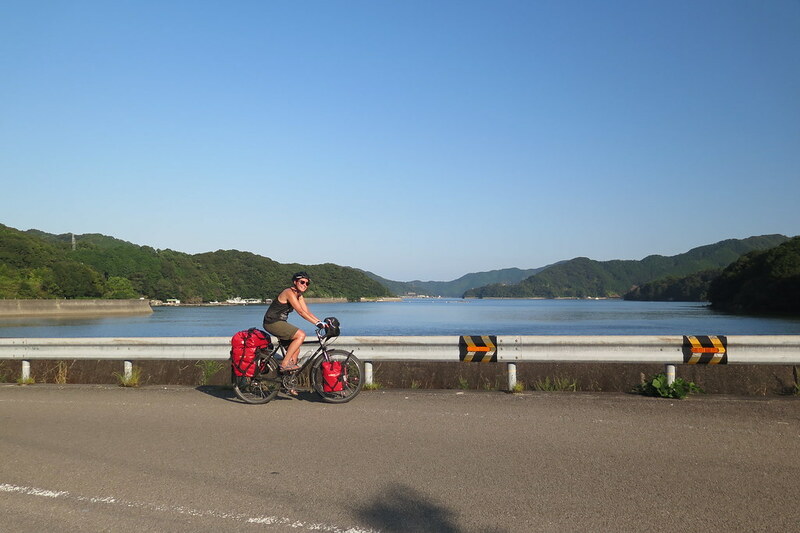 After buying ferry tickets for the following morning’s 8 o’clock crossing, we cycled to a nearby michi no eki for dinner and to camp. Pitching our tent on cobbled ground under a picnic shelter, a worker brought us a couple of planks to put under our tent so we’d have a smooth surface to sleep on. Then he gave us a box of takoyaki. More kindness! Lucky we were under the shelter as it rained all night and into the following day. 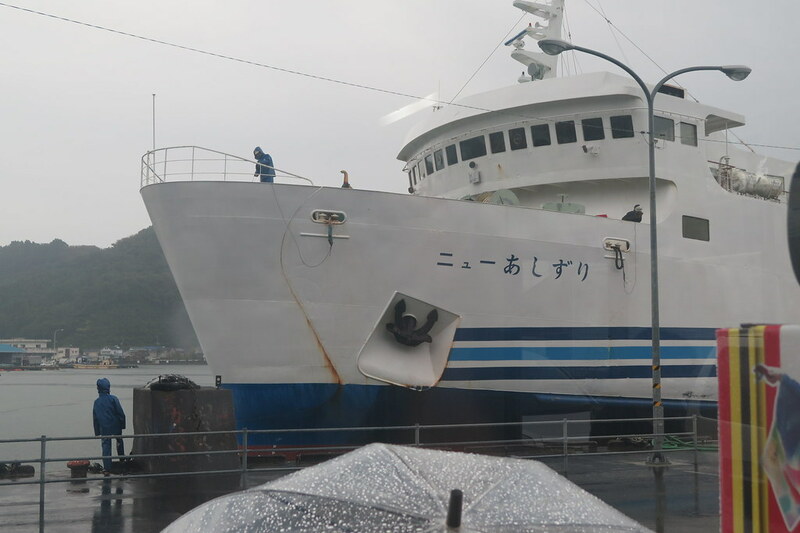 We rode the couple of kilometres to the ferry in the rain and then boarded the almost deserted boat for the 3.5 hour crossing to Saiki in Oita Prefecture. We’re sad to leave Shikoku. We’ve always had a soft spot for it after a great trip here with friends a few years ago, and this time cycling through has been equally enjoyable. It’s a beautiful island with beaches, mountains, great food and festivals. It doesn’t feature much on the standard Japan tourist trail, but we can’t recommend it enough. Loving the updates, and the pics are awesome…feels like I’m on the journey too. Hi Corinne! Thanks for reading! 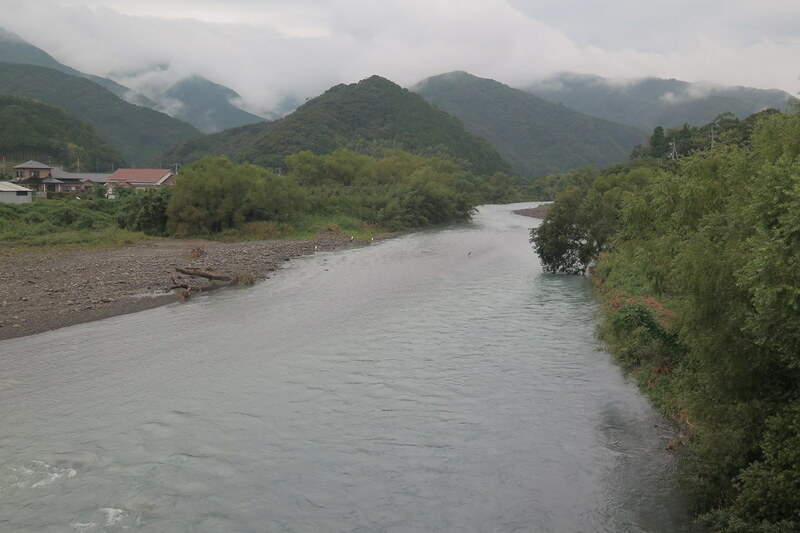 An onsen is a Japanese hot spring – pretty damn good after a day cycling! Takoyaki are the fried balls of Octopus. 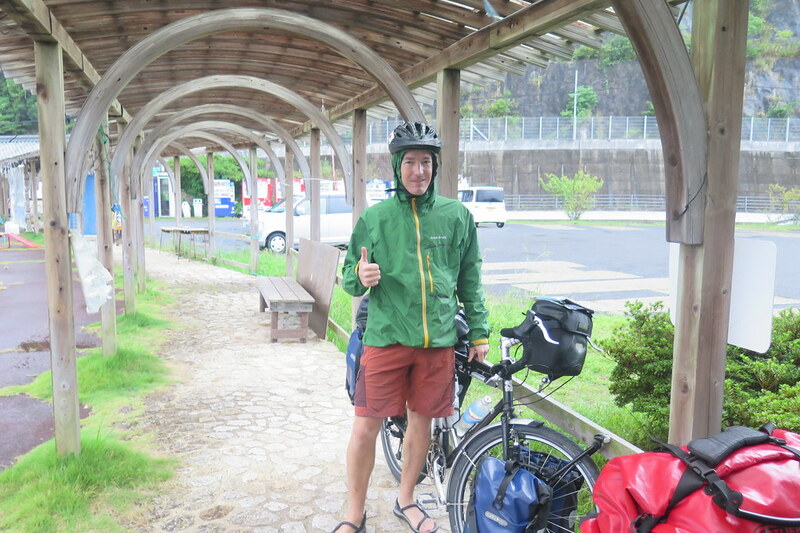 Michi no Eki are roadside rest stations usually with a restaurant, shop, toilets etc.